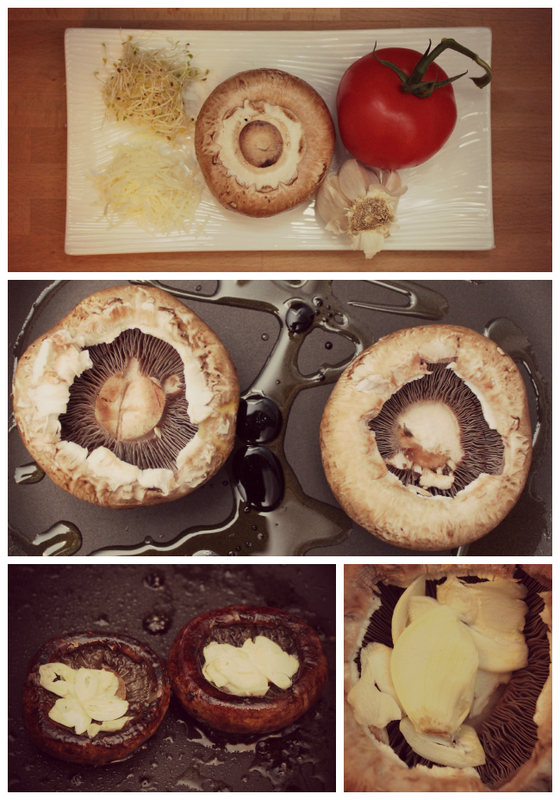 One of my favorite meaty foods as a vegetarian is mushrooms. I love me some fungi! 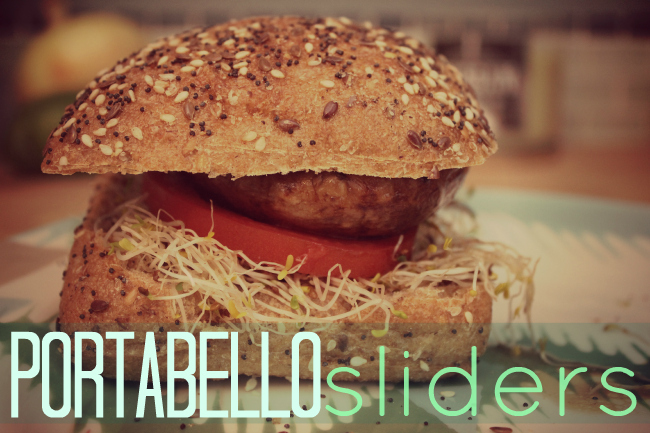 This portabello slider is such a quick and easy meal... and it's DELICIOUS! First, get the dirt of your bellos. If the stems are still attached, cut them out, hollowing out the center. Next, drizzle some EVOO and balsamic vinegar in a frying pan on medium heat. Place the bello in the pan and let cook for a few minutes on each side (top and bottom) flipping with tongs. When you notice liquid starting to bubble up in the center when the hollow part is facing you, it's most likely cooked all the way through. Now add your yummy stuffing! I sliced garlic finely, then filled the rest of the cap with shredded asiago cheese. Cover the caps with a lid to trap the heat and allow the cheese to melt. 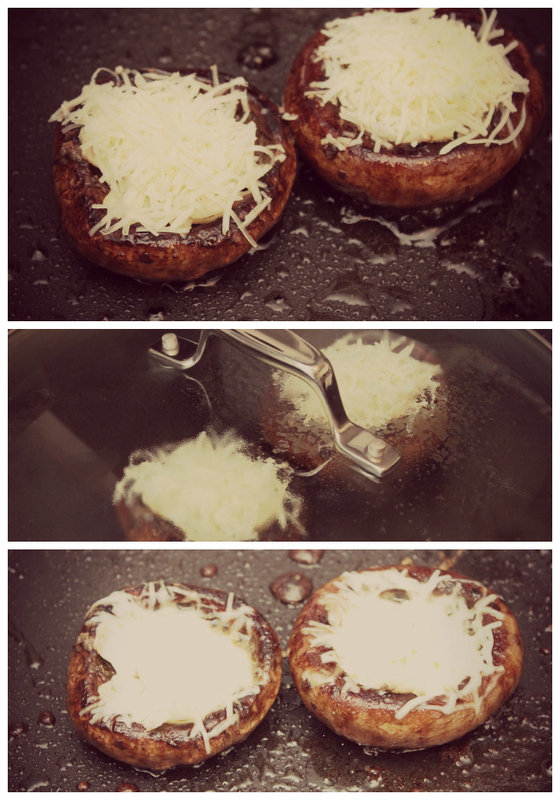 Once the cheese has melted, you are good to go! 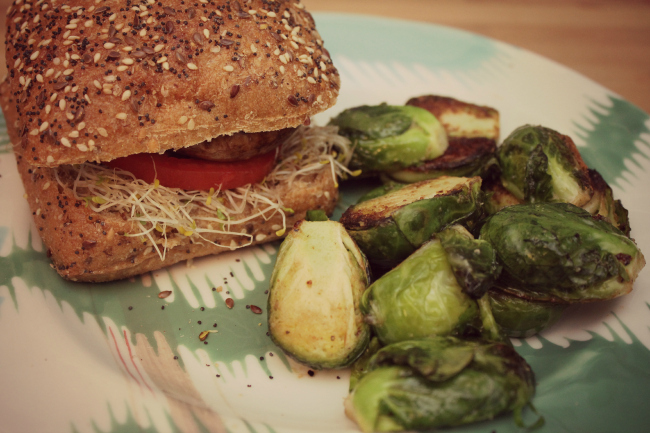 I chose some fresh brussel sprouts to accompany my sliders. Just cut them in half and put in a big sauce pan with EVOO, salt, pepper and granulated garlic. 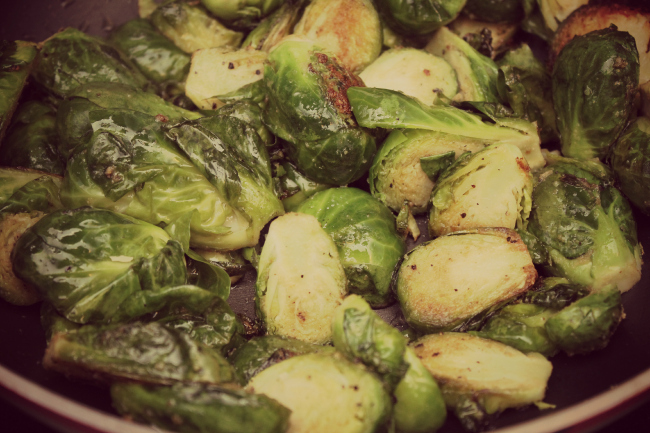 Sear them until the granulated garlic has turned crispy and almost caramelized on the sprouts. Now eat and let the chorus of mmmmmms and yummmmms and oh my's ring! 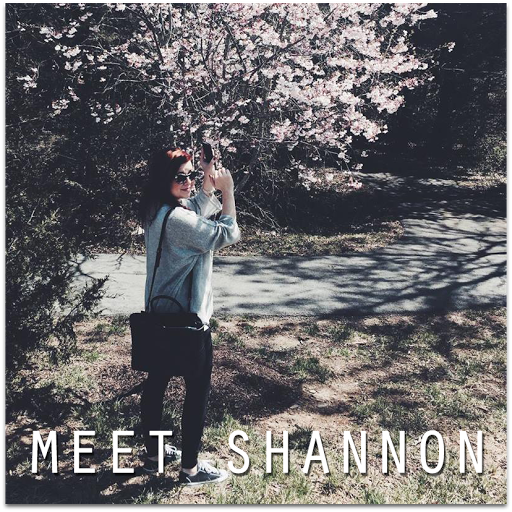 Check out our Link Party Page to see where we link up each week! this doesn't sound half bad! I love how it looks and I'm such a fan of mushrooms! 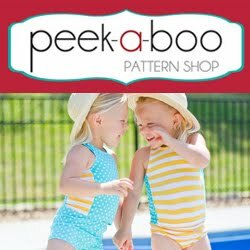 8 Java Lovin Ideas + Birthday Giveaway Winner! Want to Sponsor Eat. Sleep. Make?